Mooooo, and Susuuuuu, that's what you gonna heard when you come to Momomilk Barn, such a cute way yet quite strange at the same time. Yesterday i've had another appointment with another friend of mine from High School and also in College, so my friends and i heading to Momomilk directly after my visit to Cyrano Cafe that day. 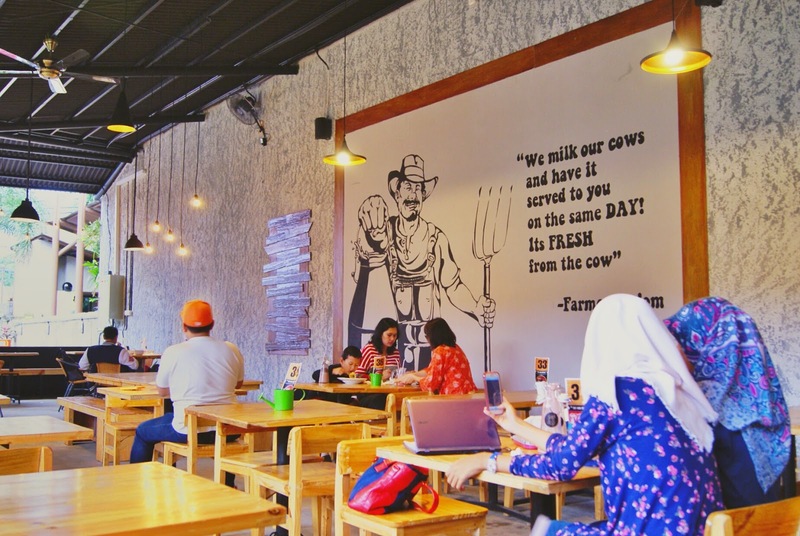 Momomilk is actually not a newcomer in Bogor, they started the business in 2011 but incase of problem with the previous outlet they had in Jalan Bungkul, so they're decided to move their outlet to new location in Pakuan area which is much much bigger and spacious than the old one. 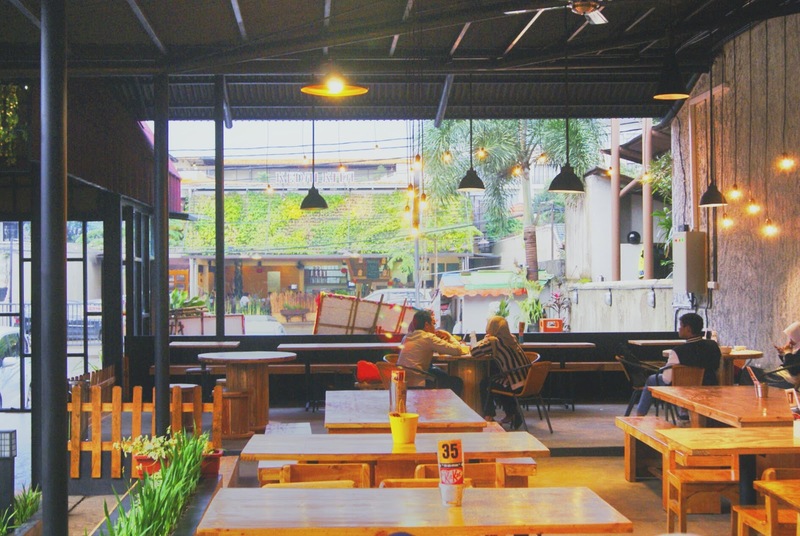 The new location is very easy to reach, if you know De Leuit Sundanese Restaurant and SMA Negeri 3 Bogor as the nearest neighborhood, you must probably know where Momomilk location is. 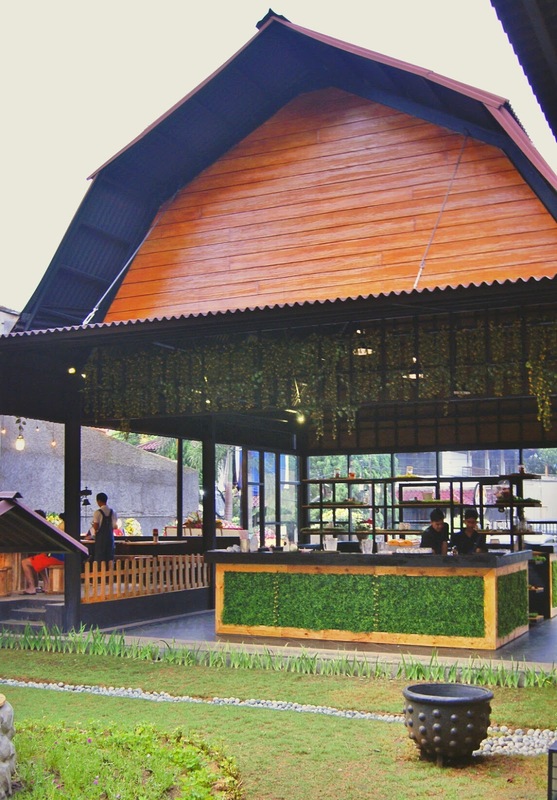 Yes, Momomilk Barn is located just right behind the famous De Leuit Sundanese Restaurant and the opposite of the new outlet of Kedai Kita. 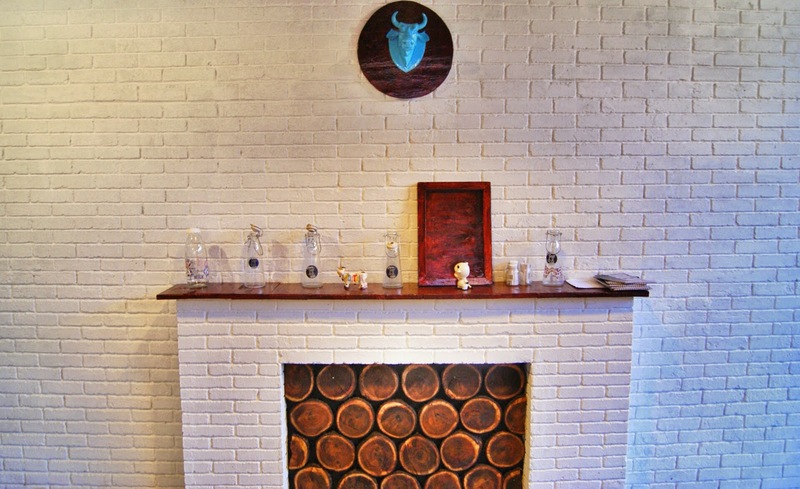 FYI Momomilk Barn just open for public a few days ago on February 6th 2014. 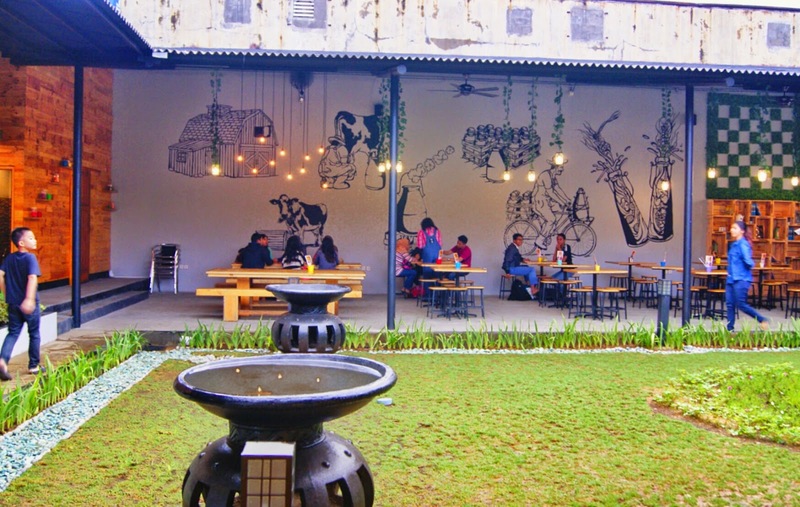 I came to Momomilk around 4 pm, the parking space is quite full that day, i thought at first that Momomilk is full-house that day but it's actually not that full since it venue is really spacious, i guess they can cater up around 100-150 pax but i don't know the exact number so you better ask yourself. 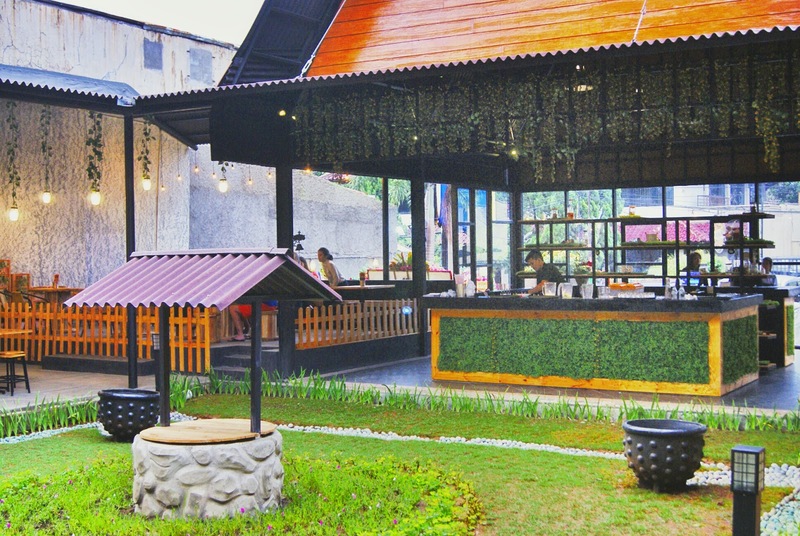 they're also available for Smoking and Non Smoking area and widely separate by the garden in the center. Talking about the design, i found it's really unique with Barn concept with mostly woods material. 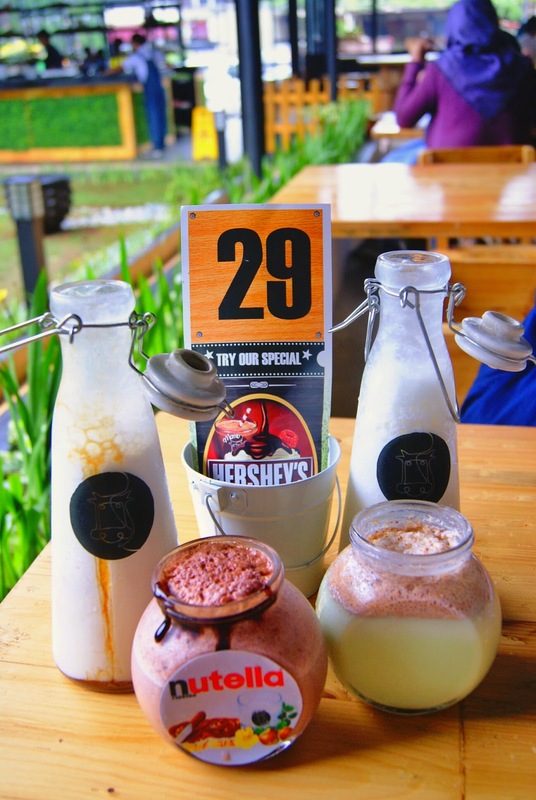 The moment you steps into Momomilk, you'll greeted by the server wearing uniform like shepherd man while the others is ringing the bell and screaming like a cow, after saying mooo, and then they're screaming susuuuu which means milk in Bahasa, and it was really funny for us and my friend can't stop repeating it all the time. 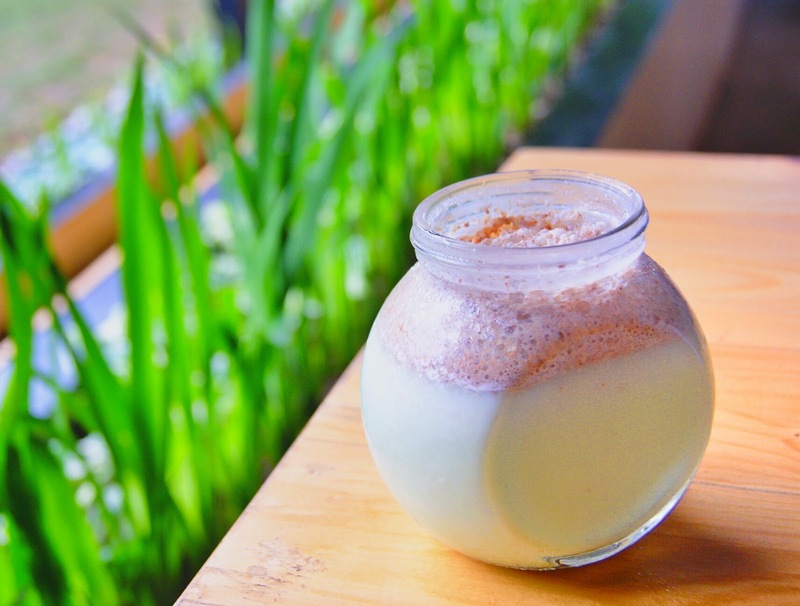 The foods here mainly focused on their milk creation with wide variety of it creations and flavor. 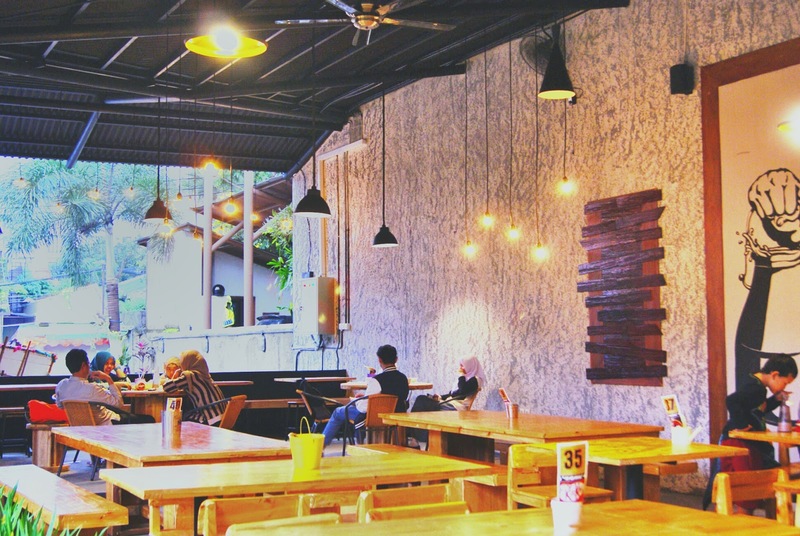 Not only serving fresh milk, they also serving light meals and Indonesian street foods like Roti Bakar with various topping, Mie Ayam, and Bakso. We seems to just want to have light meals, and of course their milk. They're having a new creations at the moment and it was super good, how could you resist the goodness of Green Tea KitKat, Hersheys and Nutella in a form of milk ? so we give it a try. This Matcha KitKat Greentea was only okay for me, the matcha flavour could be stronger and this one tastes milder for my taste bud. I can taste a slightly hint of crushed kitkat but not too powerful, while the good point of it is i can actually taste the milk which is good. I think they need to add the sweetness and bitterness of matcha of this one my preference. This is the star i was talking about at the opening. 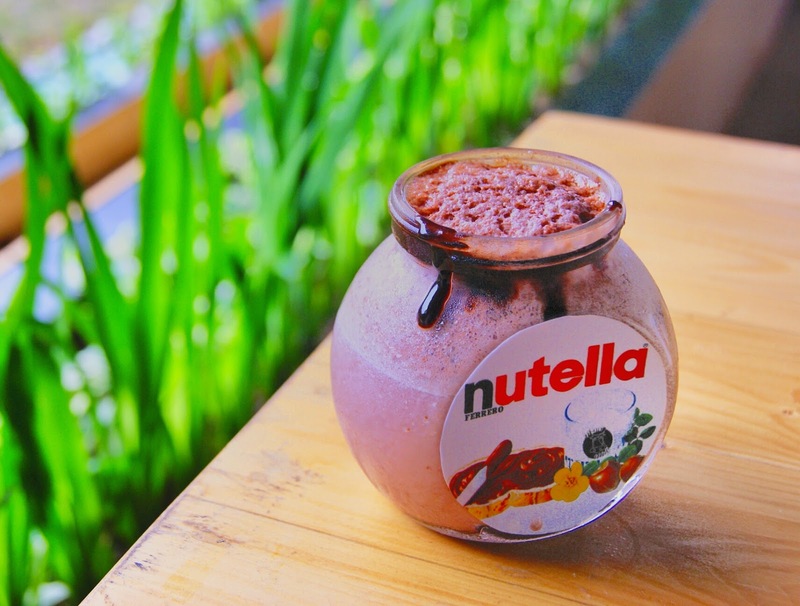 This Nutella Milkshakes is nothing to complain, who can resist the temptation of Nutella goodness with milkshakes btw. 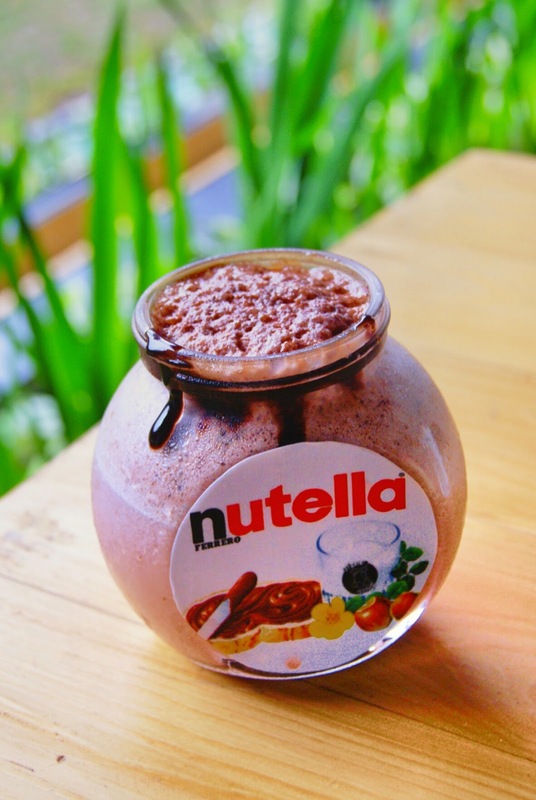 Me loves the balance of chocolaty, nutty and creamy flavor of the Nutella with the sweety, and milkiness from the milkshakes. 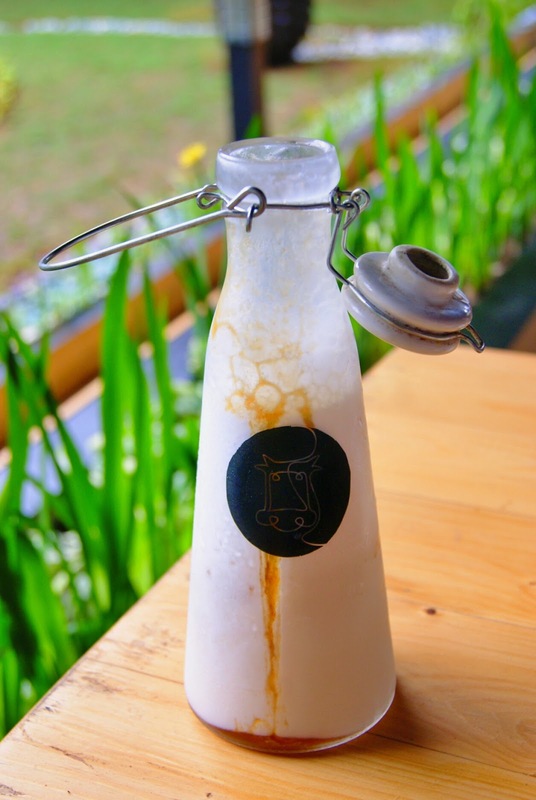 It tastes so good and i'm dying for this, this is a must try when you come to Bogor and visit Momomilk Barn. 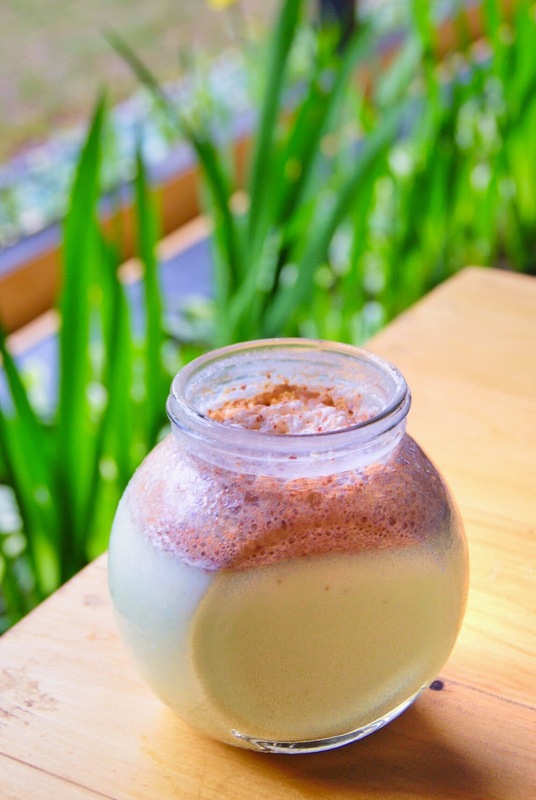 This is their classic creation, the fresh milk mix with the coffee mocha syrup. The combination was just right, the coffee mocha is not too overpowering while you still can taste the milk and the coffeeish flavor at the same time. At first, i was expecting two slices version of Roti Bakar with the filling in the middle and as the topping as well while the outer side is nicely toasted on pan. But this version is slightly different than i expected, i can't say that this version is fit to my liking and i thought that they could be better than this. 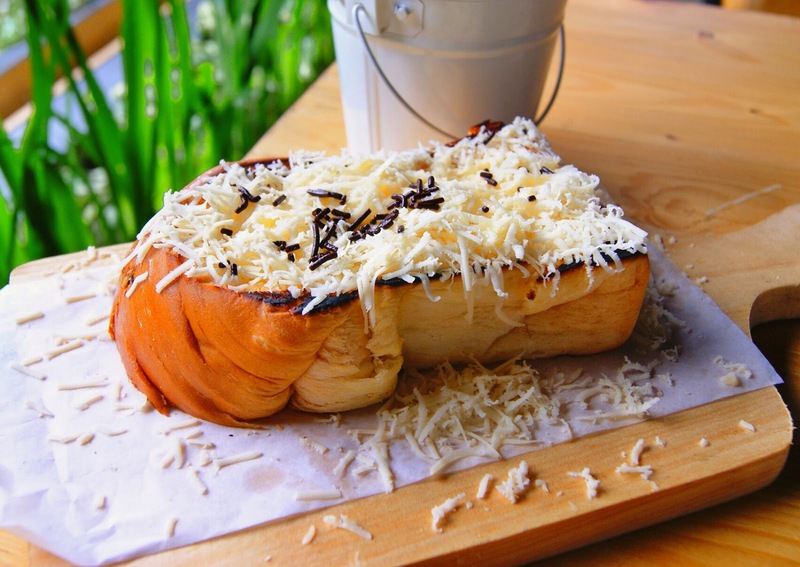 This is actually comes with sweet corn, cheddar cheese, sweet condensed milk and sprinkle chocolate rice as the topping. Flavor-wise it's just okay, and i hope momomilk can improve with this one. This is was my friend's order. 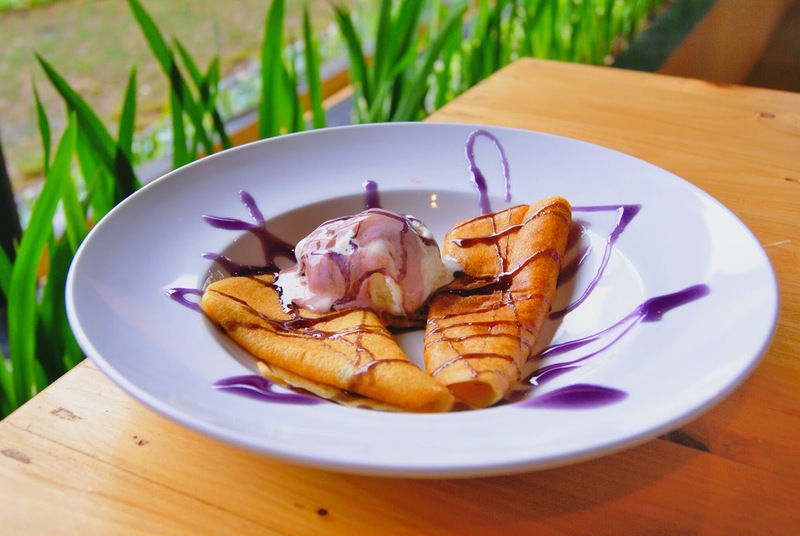 He said that the pancake is soft and fluffy, overall is lovely. 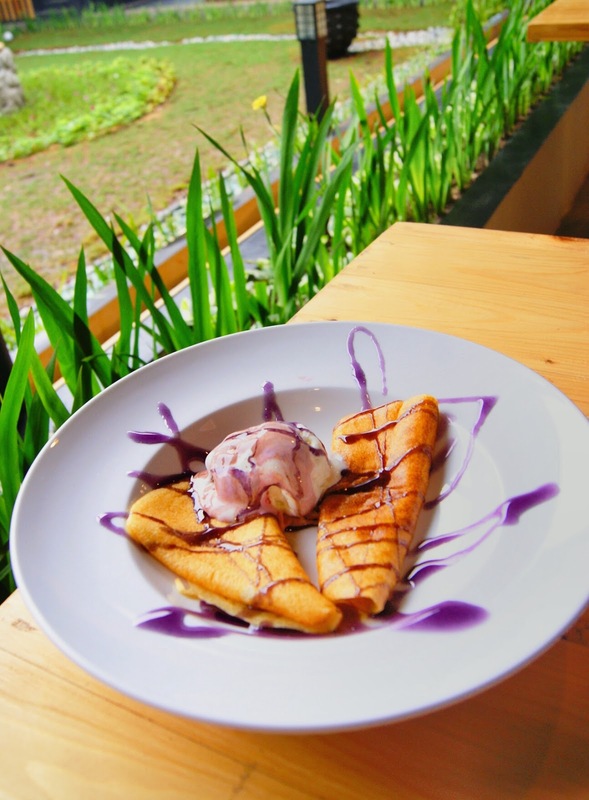 The pancake is more crepes version with thicker form, served with vanilla ice cream and blueberry jam. 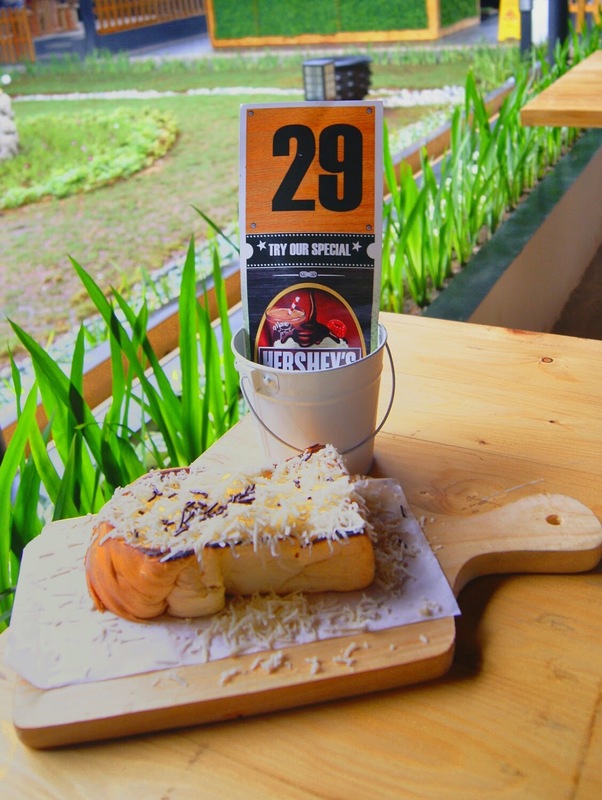 It's perfect to accompany your snacking time and you can share it with friends. 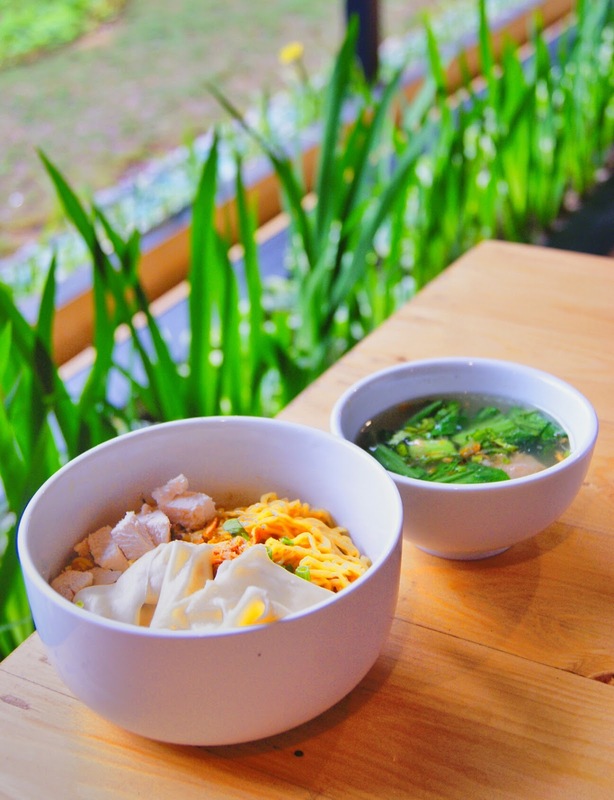 Bogor is raining all day long, and it makes us very easy to get hungry *alibi*. 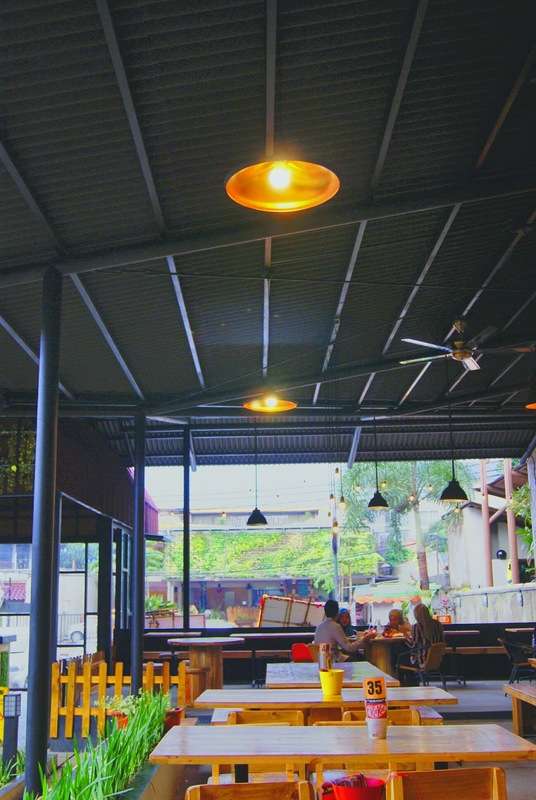 We're still hungry at that time, so why don't we order another foods, said my friends. 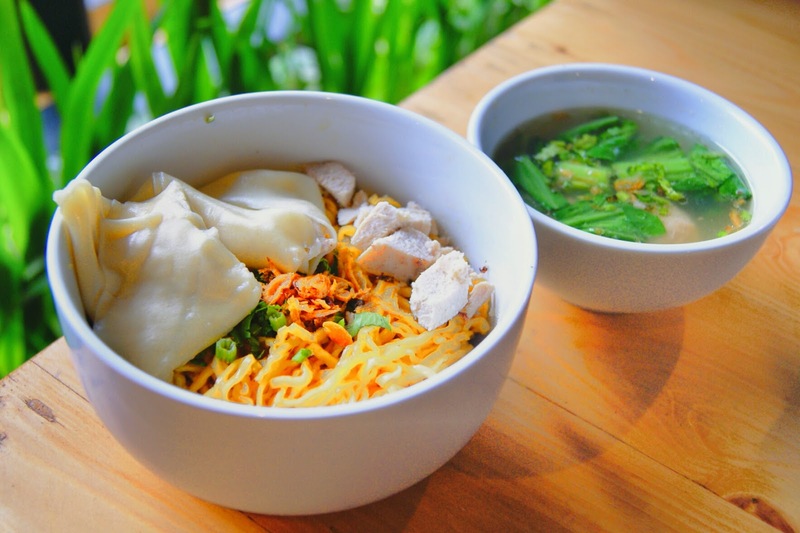 We're actually looking for a big enough dishes that we can share, and we think that Mie Ayam would be a great companion for us and we end up with ordering this Mie Ayam Komplit. Unfortunately that the mushroom is out of stock, so it's only come with chicken, dumplings, and bakso *Indonesian meatballs*. It tastes actually good with cafe standard, the chewiness of the noodles was right and the seasoning is balanced, the only minus thing is they're not serving it with Sambal and Chilli sauce as the complimentary, so we need to ask the server if we could have it. I don't know why but the server isn't coming back even we ask for more, but for me it's still acceptable but i don't know what will happened if this meant to another person with strict attitude. I hope that Momomilk can manage this cause and when i come back here it won't repeated. 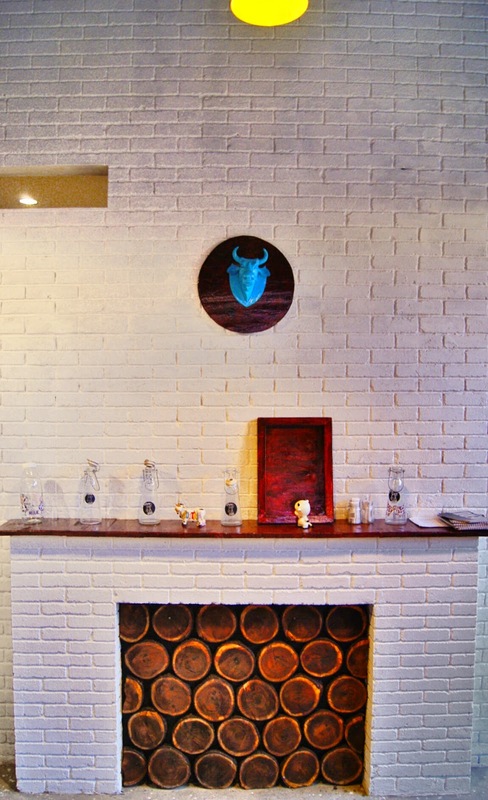 Overall, my visit to Momomilk Barn yesterday was really good. 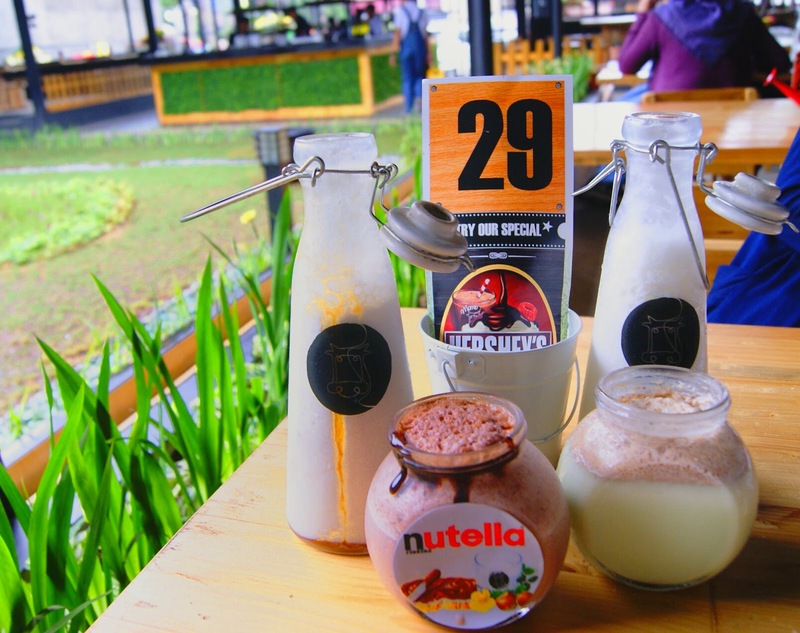 Momomilk Barn is such a good place for hangout and chillin with your friends, and the what's really good of all is the prices is relatively cheap and affordable compare to the venue itself that offers you a joyous yet comfort ambiance, and not to mention that their foods and especially milks are really good here. 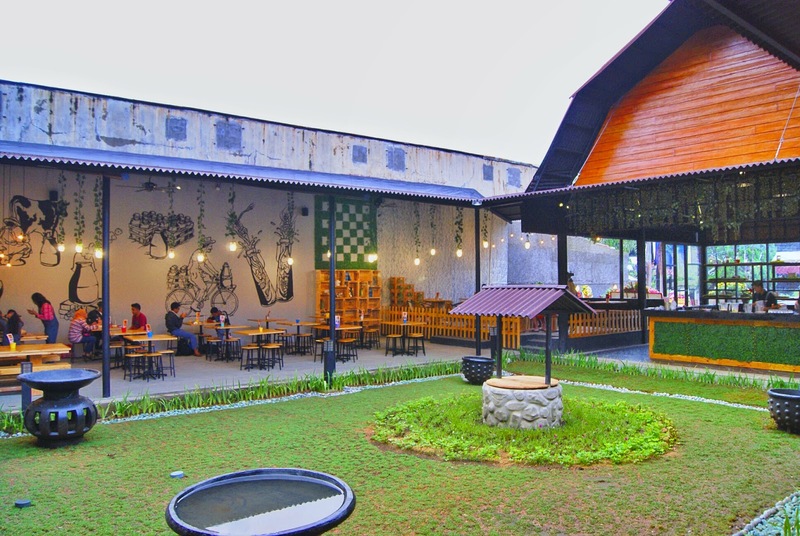 Momomilk Barn is also a great spot for you to held a small event or even a birthday party because it's spacious venue with open air space. 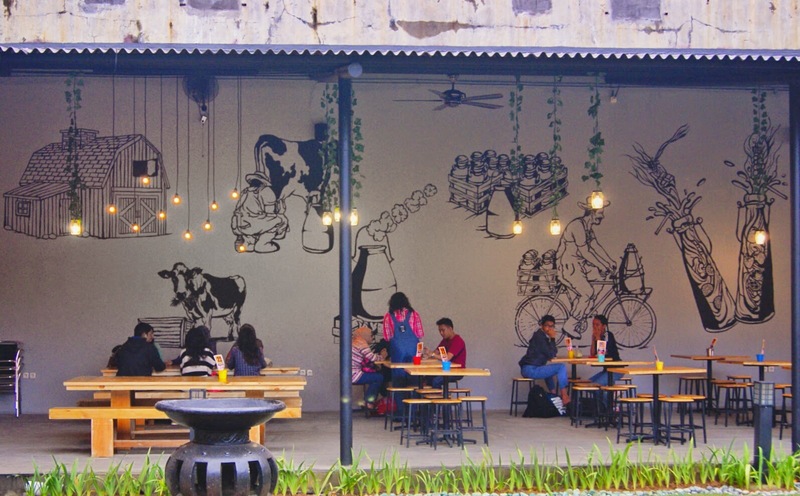 If you're looking for such a good place for eating and hangout with affordable prices and nice ambiance, then Momomilk is the place to be that worth your try.